For many years I have traveled the back roads of Alberta and each time I marvel at our amazing province and our spectacular vistas. “Backroads”, my latest series is inspired by prairie storms, canola in bloom and fields of wild flowers all seen on my numerous roads trips. These pieces are created using a process of corn dextrin resist combined with an application of thickened dyes, giving greater depth to the textile creations. To further engage the viewer, the layers of silk, cotton or linen are overlaid and separated when hung, giving further dimension to the piece. 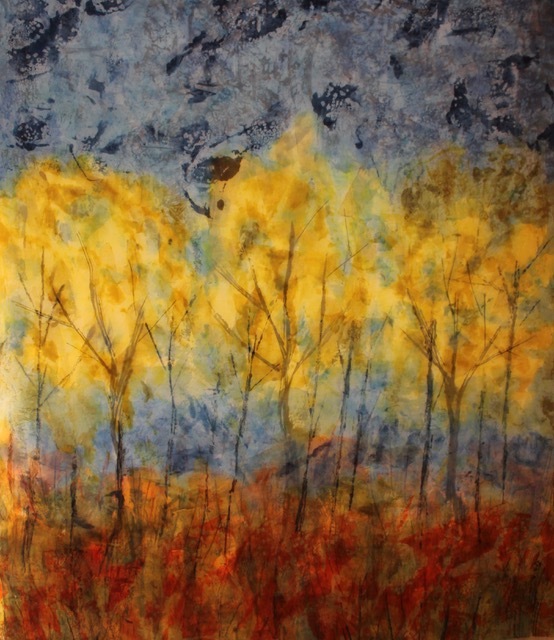 Lynda is a mixed media textile artist who lives in Calgary, Alberta. A love of textiles from a young age lead to a Bachelor’s degree in Home Economics from the University of Alberta and a further certificate in Experimental Hand Embroidery from The Gail Harker Center for Creative Arts In Washington. 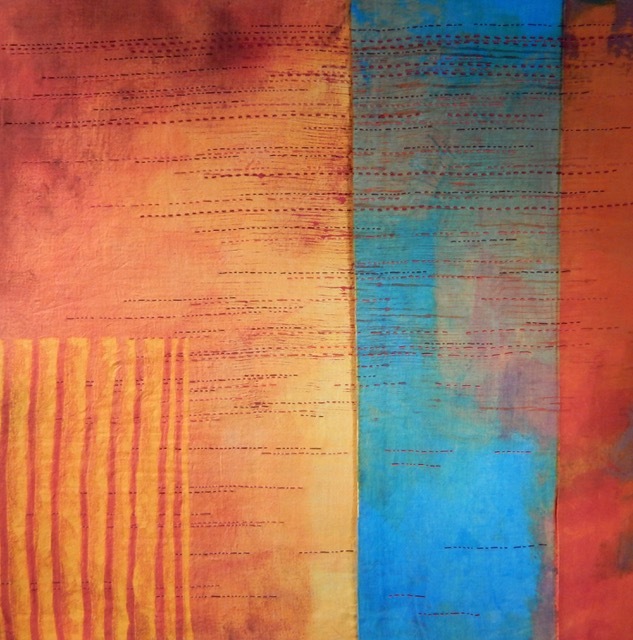 Lately, Lynda’s textile creations have been exploring the use of resists and thickened dyes to create depth in her work. 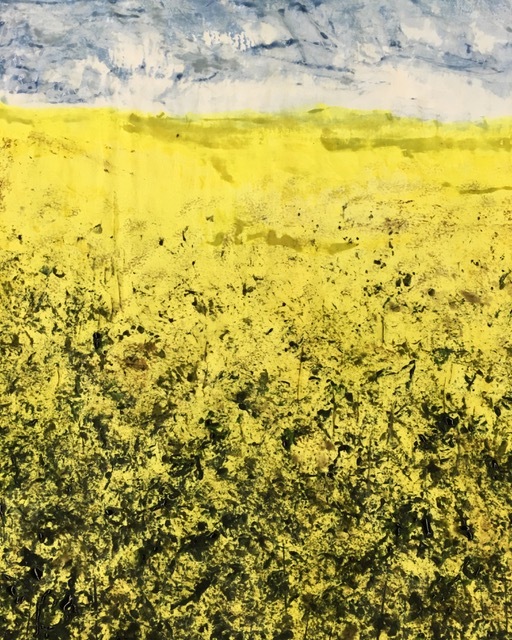 The focus of her latest series, “Backroads”, is based on her years of travel between Calgary and Bergen Alberta exploring the various landscapes, seasons, and weather patterns encountered on those trips.